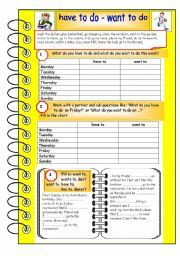 A ws with 3 activities including a partner interview and a gap-filling exercise. Let´s practise the present perfect with adverbs of indefinite time. This is an activity about opposites. The pupils have to cut out the triangles in order to match the opposites. 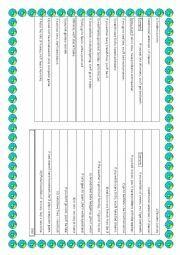 This is a worksheet to practise irregular verbs in three different ways. Students work in pairs. One Student must correct his partner. 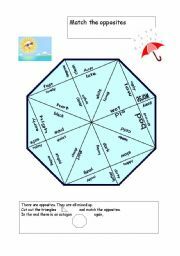 First the pupils have to cut out the hexagons and match the verb forms. Then they practise the verbs in a context. 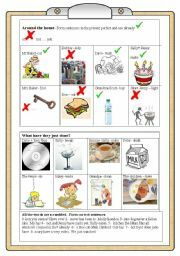 Students can collect their vocabulary in certain categories. 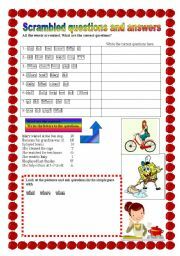 The words of the questions are scrambled and students must identify the correct answers. The correct answers will give a keyword. 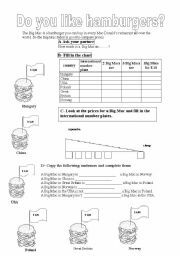 Children like to know how much a Big Mac is in other countries. That´s an interesting way to practise comparisons. This is an exercise to practise vocabulary grouping words and finding odd ones. 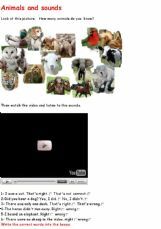 This is an exercise to revise animals. 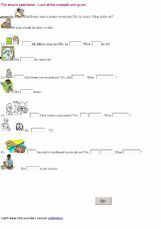 This is an exercise to get familiar with easy simple past questions and answers.